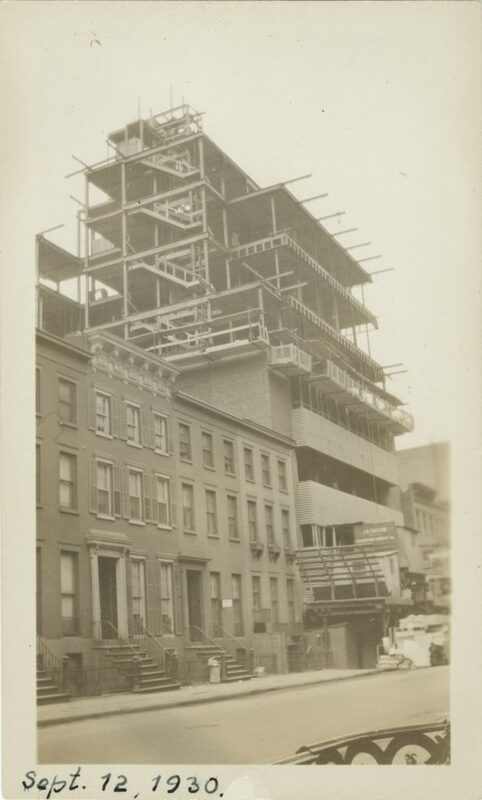 “On West Twelfth Street, between Fifth and Sixth Avenues, you will see a new and peculiar looking building, if the snowstorm permits. Its nature and purpose will be a trifle difficult to guess at first, for no structure of the sort will ever have met your eye before. 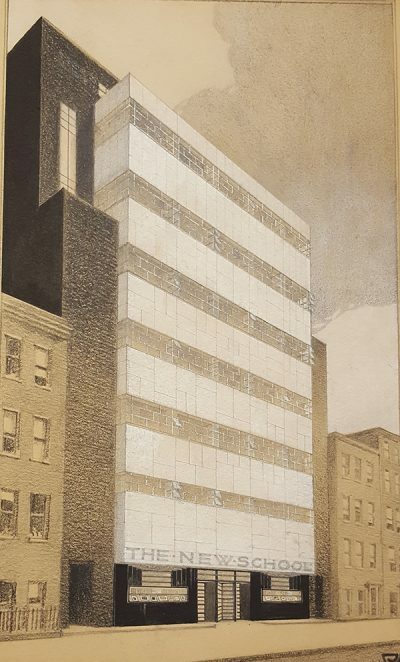 But if your gaze strays down far enough, you will perceive that it is the new home of the New School for Social Research.” That was the beginning of the New York City Post’s article of December 30, 1930, promoting the opening of the school’s new building at 66 West 12th Street. However, having operated for less than ten years, the school lacked an endowment to pay for a new building. A fundraising plan was needed, along with an architect with a spectacular vision that would prompt funders to open their wallets — a significant challenge, especially since the country was entering the Great Depression. Johnson thought of two architects who he believed could produce such a visionary design — Frank Lloyd Wright and Joseph Urban. Johnson decided on Urban and, with the aid of Board of Directors member Clara Meyer, approached the architect. 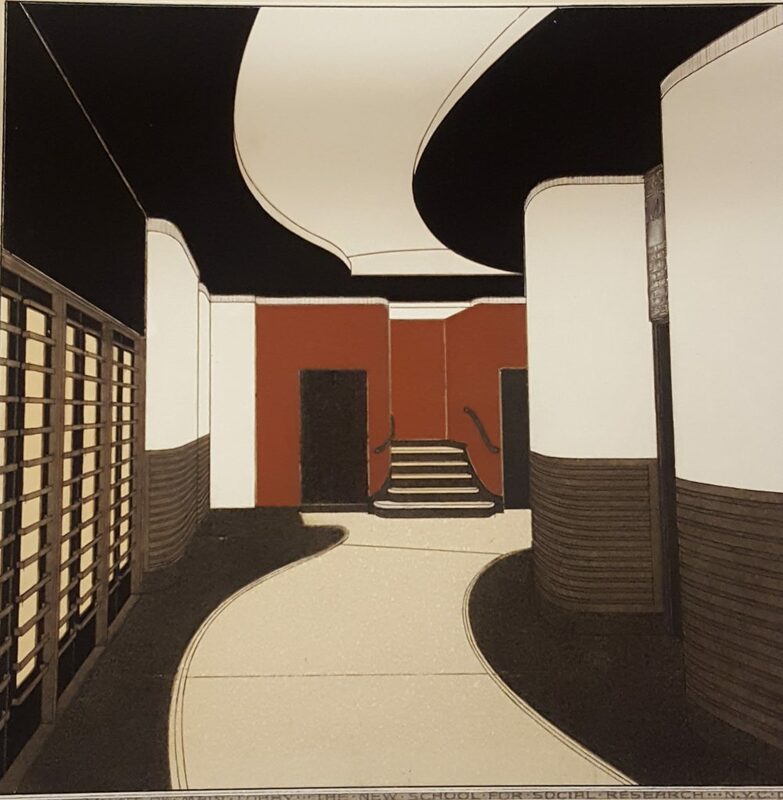 Originally from Vienna, Urban had a flourishing career as an architect before immigrating to the United States to work as a set designer for the Boston Opera Company. He was soon designing sets and lighting for the Metropolitan Opera of New York, the Ziegfeld Follies, and other companies and productions before being drawn back to architecture. 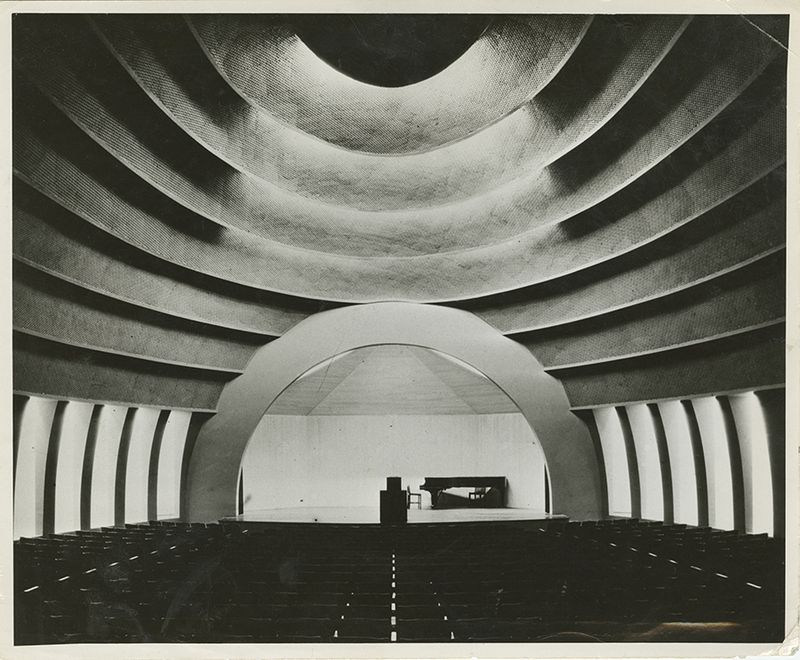 One of the most dramatic features of the building is the egg-shaped auditorium, the first to be built in that shape. 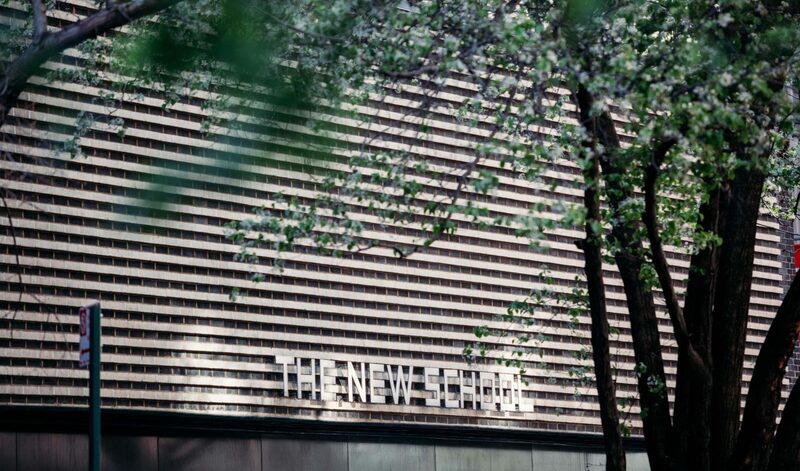 Unlike courses at today’s New School, where class sizes are kept small, courses offered by the school at the time were sometimes attended by enough students to fill an auditorium. Johnson wanted Urban to create one that would break down the separation between instructors and students and encourage interaction. The design, with wide arched bands and reflected light, was intended to produce an intimate space with the feel of an open-air theater but the benefits of an indoor auditorium, such as temperature and acoustic controls. The shape did have one drawback: the potential to cause problems with the acoustics. Along with Floyd Rowe Datson, a University of Illinois professor of experimental physics, and New York engineer T.F. Bludworth, Urban devised an ingenious solution. 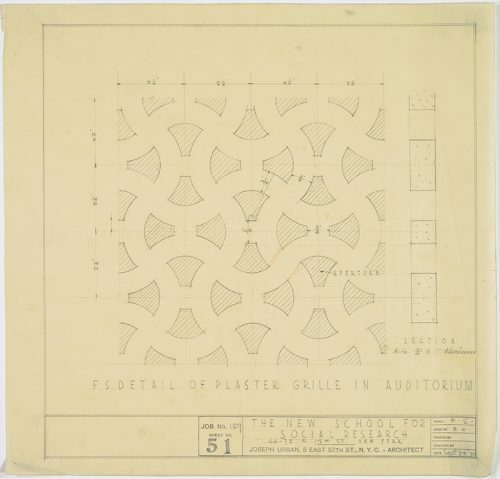 The three designed a plaster ceiling in the form of a grill, with perforations that kept sound waves from bouncing back into the space from the ceiling. 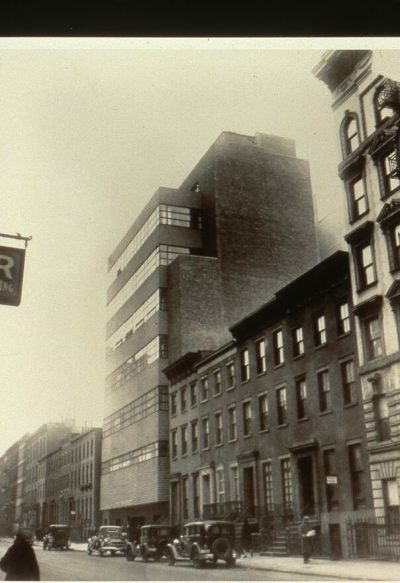 Believed to be the first International Style structure built in the United States, 66 West 12th Street was Urban’s last architectural work before his death in 1933. 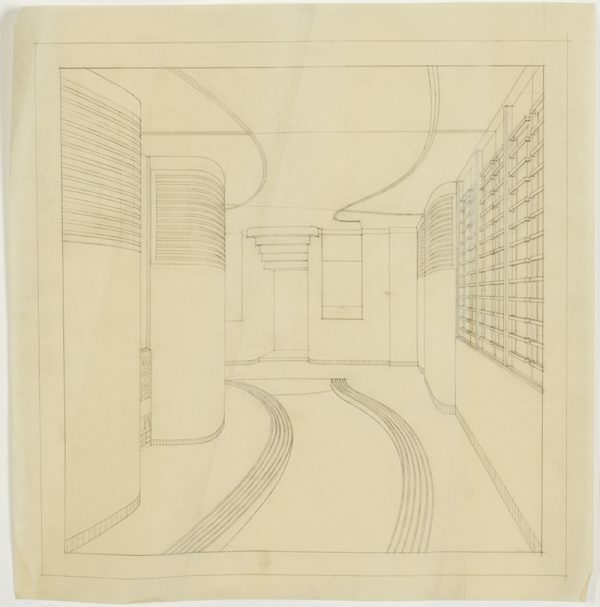 His influence can still be seen in one of New York’s landmarks, Radio City Music Hall, whose interior incorporates features from his designs, including that of the auditorium at 66 West 12th Street.